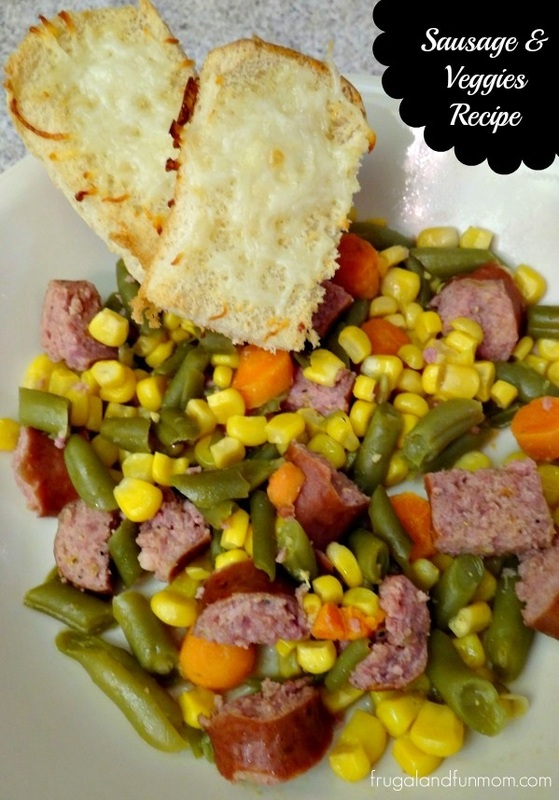 Sausage and Veggies Recipe! An Easy Weeknight Dinner! 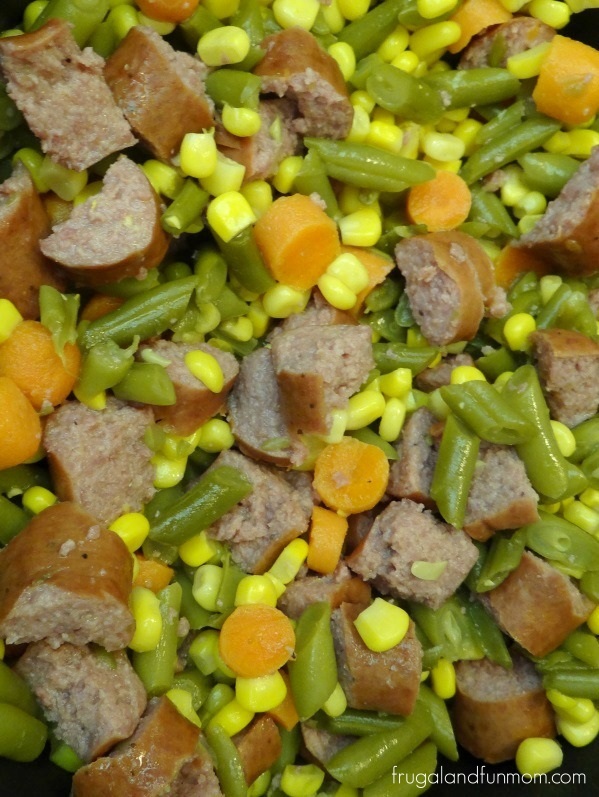 Last week for dinner I happen to have Turkey Smoked Sausage (I bought on sale), and decided to mix it with vegetables. The results were yummy, and my kids gobbled it up. I like to experiment with food and thankfully my husband and kids are open to trying these “experiments”. I thought it was funny because I was asked to add this to the “make again” list. Since it was a HIT and so easy, this is how I did it. 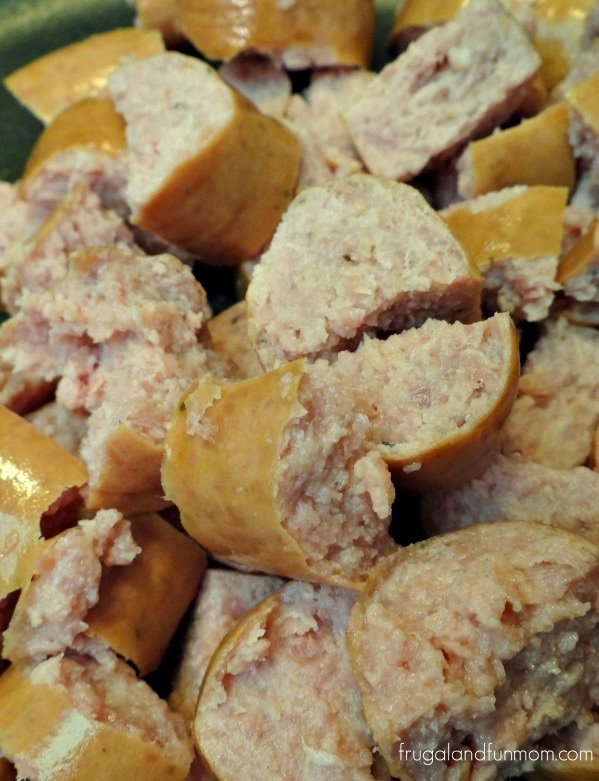 Cook the sausage on the stove at medium for 5 minutes stirring occasionally. Add in the fresh carrots and continue to cook on medium for another 5 minutes stirring occasionally. 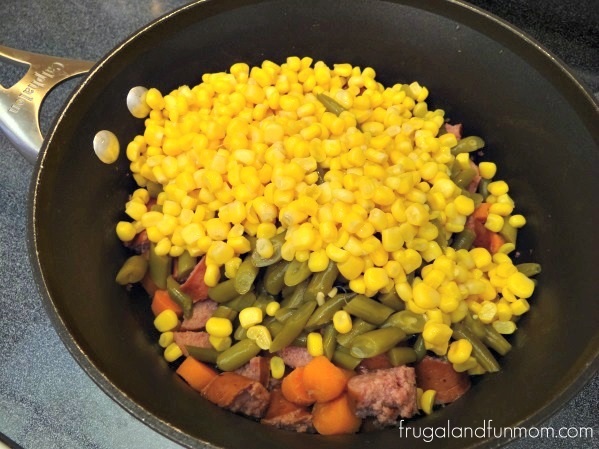 Add the canned green beans and the corn, and completely combine. Move the temp to medium/low for 15-20 minutes, cover, and stir occasionally. Serve this immediately. FYI I also paired the dish with Cheesy Garlic Buns, and they were a great compliment. Do you make anything similar? What veggies do you include? If you try the recipe out, let me know what you think. 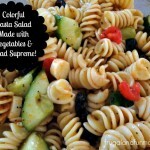 Colorful Pasta Salad Made With Vegetables and Salad Supreme Recipe! My Most Requested Dish for Family Get Togethers! 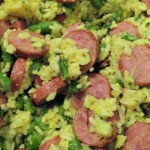 Sausage, Asparagus, and Yellow Rice Recipe! Colorful, and A Sneaky Way To Get Your Kids To Eat Their Veggies! 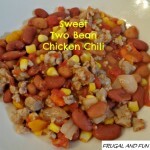 That does sound and look very simple to make - I love quick dinners!! My husband is the sausage eater in our house, but me...not so much..I'll hand this one off to him! I bet this is packed with fiber and protien! Great quick and easy recipe. Always love meals that are easy to prep an full of good veggies! This is a neat idea! This looks super simple to make. 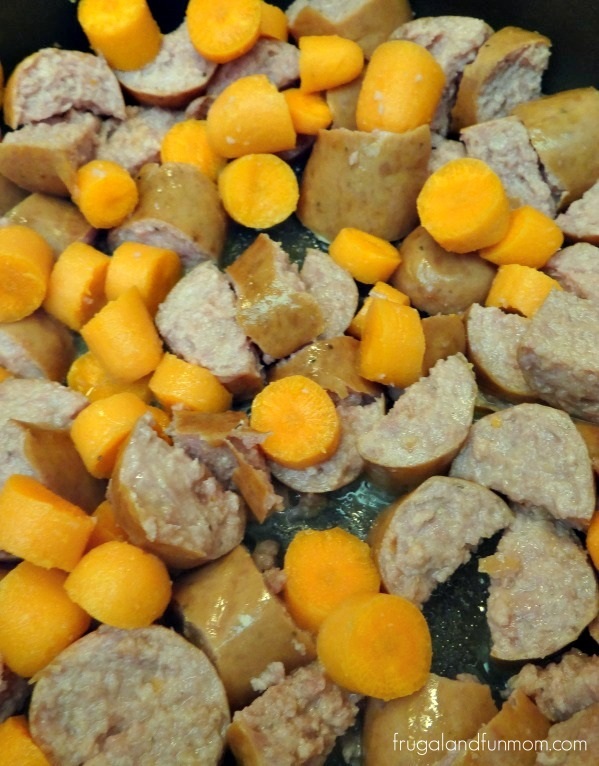 My daughter loves sausage so maybe she will eat the veggies if they are mixed. We shall see. I've never thought to add sausage to veggies! That's a great idea since we eat sausage at least once a week! This looks so yummy! I love how easy it is to make. That does look easy. I'll bet the sausage helps keep the vegetables moist and you probably don't even have to use any oil in the pan! Looks tasty! I like meals like this that include meat and veggies because it makes planning dinner simpler. This looks delish and I like how balanced it is with protein and veggies. I'll have to put the ingredients on my shopping list so that I can whip out this recipe on a busy school night since it's so easy.